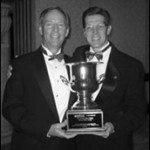 Dr. Mike Malone, and his dental ceramist, Mike Bellerino, CDT, received two gold medals in the International Smile Gallery competition at the 2005 annual meeting of the American Academy of Cosmetic Dentistry in Nashville, Tennessee. They won a gold medal for a porcelain veneer case and another for porcelain bridges replacing missing front teeth. They also won a bronze medal for a complete smile makeover. Smile Gallery medals are given on the basis of artistic beauty and perfection in results. Top cosmetic dentists from all over the world enter the competition, and a panel of judges makes the awards. In addition, Dr. Malone presented two lectures to the international group. Over four thousand dentists and other dental professionals were in attendance. As immediate past president of the AACD, Dr. Malone had a hand in the enormous growth of the organization. From 1996, when Malone was first elected to the Board of Directors, to the present, the Academy has tripled in size, from about 2300 members to almost 6900 today. 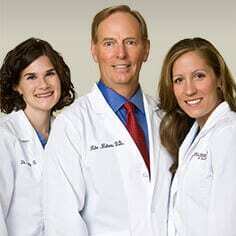 For many years, the AACD has been the largest and most influential cosmetic dentistry organization in the world. Can I Bill Ex-Husband for Emergency Dental Work?